Ford Motor Company (NYSE:F) has announced the restart of F-150 pickup truck production at the Dearborn, MI manufacturing facility. The company will also resume the production of F-150 pickup truck at a facility based in Kansas City, MO. It will also restart the production of F series trucks in Louisville, KY facility on Monday. The company has halted the production of F-150 truck on May 7, 2018 owing to the shortage of parts. Meridian Magnesium plant has stopped the parts supply to Ford due to an explosion on May 2, 2018. The parts shortage also created production problems for other automakers too. 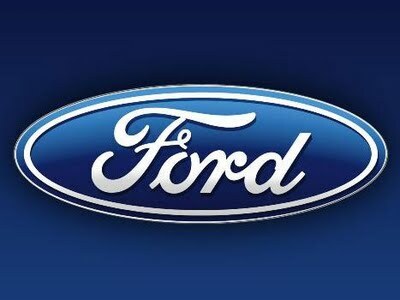 Ford and other contractors have helped the parts maker in removing the nineteen dies from the damaged production facility. The company has helped to repair and restart the production at auto parts maker. The revenues of F-150 full-size pickup truck are estimated at $41 billion in the year 2017. It has accounted for 28% of the total sales of the company. Ford Motor Company is likely to report a dip in Q2 earnings this year due to shutting down of production at three plants. President (Global Operations) of Ford Joe Hinrichs said the production halts are short term. Hau Thai Tang, Purchasing Director of Ford and Joe Hinrichs said the company is working with the parts supplier to repair the damaged plants and resume the production. The company has made alternate arrangements to produce auto parts at Strathroy, Ontario based facility of Meridian Magnesium Products on a temporary basis for Super Duty Pickups and the well-received Ford F-150 pickup trucks. the Strathroy, Ontario based facility will also manufacture lightweight parts for Explorer, Navigator, Flex, Expedition, and MKT utility vehicles. Ford Motor Company has issued a safety call for F-650 and F-750 vehicles in North America to fix the parking brake cable tension issues. The company is repairing the parking brakes to stop the unintended movement of the vehicle and prevent the accidents. F-650 and F-750 vehicles are manufactured at its Ohio Assembly Plant during March 28 and April 17, 2018. The recall is for 151 vehicles.